They are pleasing to the eyes and refresh our body and mind. They not only create aesthetic sense but spruce up the place they are used at. They cheer up the emotions and express love for all of us. There are many uses of flowers; here we have t ried to identify some of them. 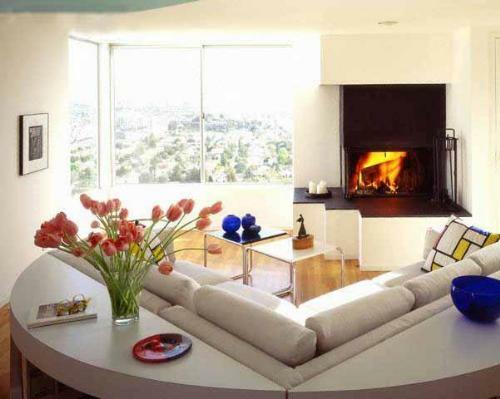 A living room has special attraction that boosts up beautify with fresh flowers. Fresh flowers give tranquil and soothing effect to the room. Placing fresh flower either a bunch of identical flowers or dissimilar ones in the room can revitalize you. An excellent thought is to position the leaves of flowers into the transparent bowl which is full of water. 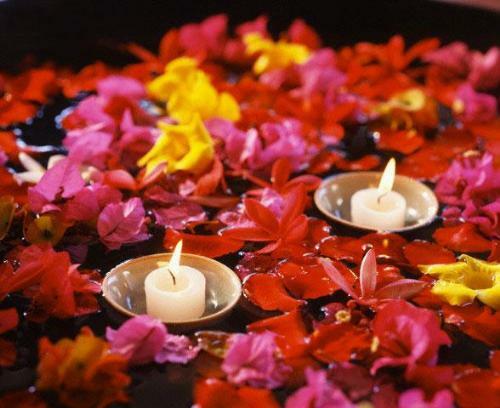 The use of floating candles in the basin together with flowers looks excellent in living room. You can put flowers on bedside table by placing them in layers in bedroom. Another thing is that you can use a branch of preferred flowers in small or large vase. Put the vase on apex level and it will give lean outlook to its adjacent things. You can also prefer different vases in spite of using glass vases. 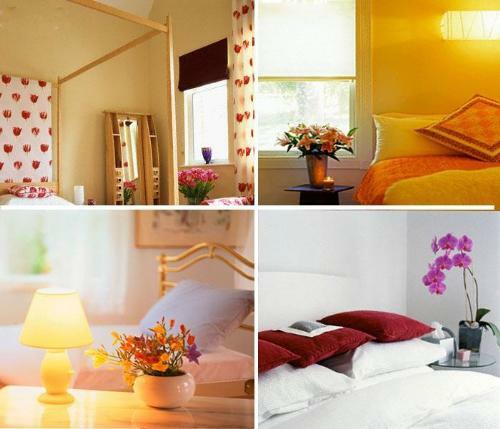 Thrill your room by means of using various flowers displaying amusing colors. The use of rosemary like lavender and chamomile swell stunning scent all around. Further you may also prefer roses or lilies, carnation etc. giving sweet fragrance all the time. Silk flowers look nice for tall accommodation like cupboard in the kitchen or on the peak of the wardrobe as these are hard to reach and immense places for silk flowers. Old water carafes, traditional teapots, usual flagon or smooth ragged clay vessel create a fascination while arranged with nice looking flowers. A bunch of untied flowers in the bouquet gives the impression of being new and fresh. Apart from this, tied flowers embellish the jug of water as desired. 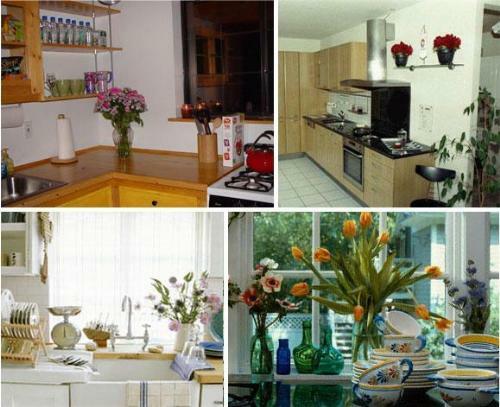 Harmonizing flowers and colors gives the tranquil effects whether they are used in kitchen or in any part of the house. 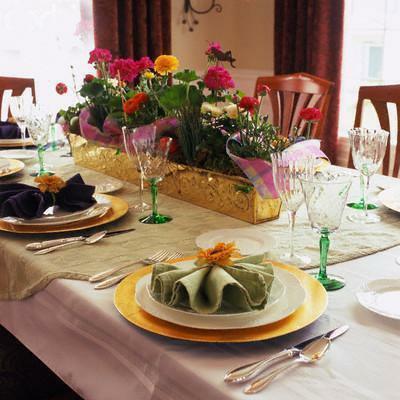 Make use of flowers as a showpiece in a hall or on dining room table. 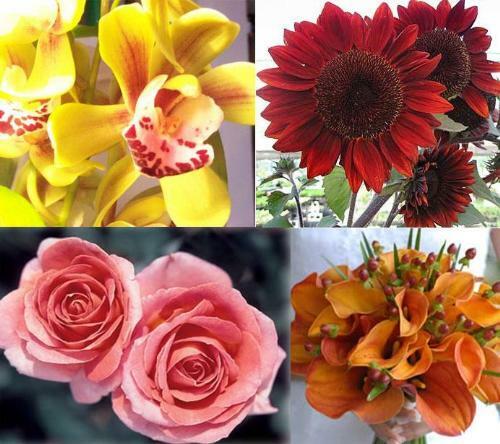 If you believe in Feng Shui, there should be flowers of red, gold or black colors in the hall. Flowers should be stylish and graceful. The nature of flowers mainly depends upon the style and beautification of the room. For simple, graceful table furnishing you can put a sequence of flashing vases or candles on table cloth. Putting refreshing flowers in every vase makes the area beautiful. This showpiece definitely creates astonishing atmosphere throughout brunch or casual dinners. The candles make stimulating blend with sophistication of flowers. The use of single flower to cherish mood and feel affection of love can make the place a centre of attraction. A lonely daisy or some other flower might be used to reveal fondness.